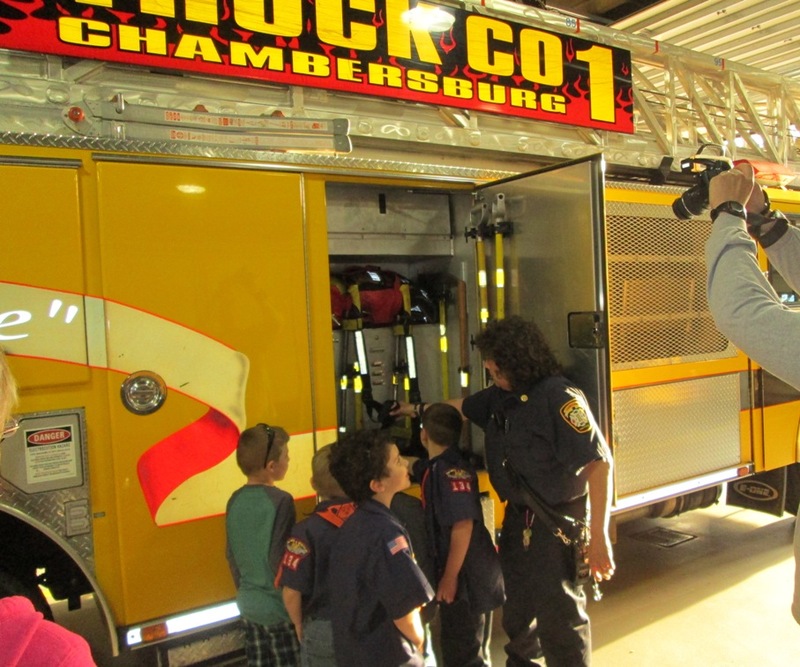 This evening, Cub Scout Troop #134 toured Headquarters Fire Station where CFD firefighters delivered fire prevention education. 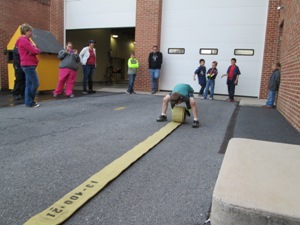 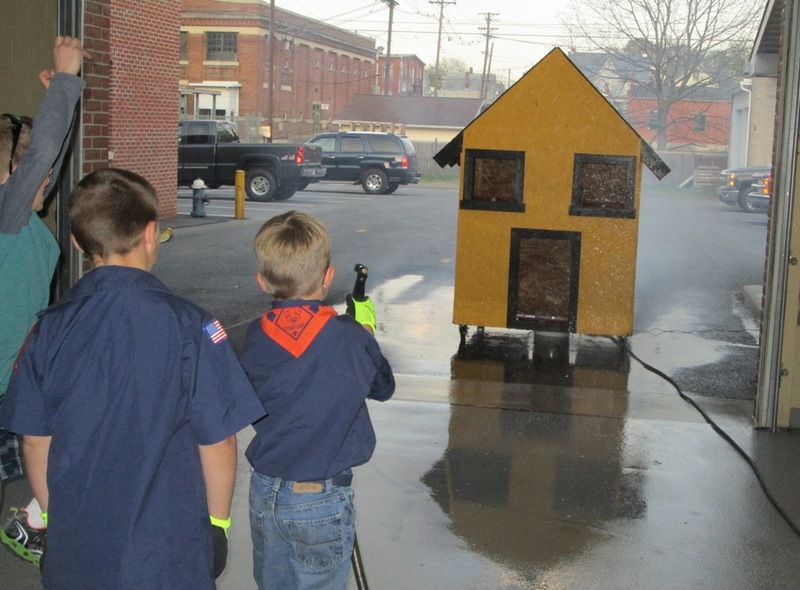 “A” Shift staged skill stations that presented the opportunity for cub scouts to practice firefighting activities such as knocking down simulated props in the Fire Safety House and rolling up hose. 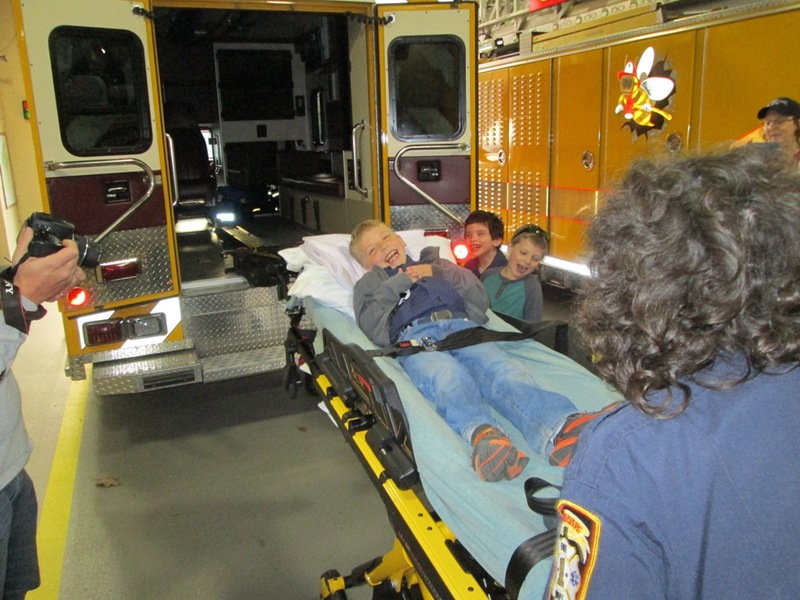 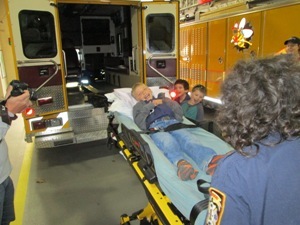 A quick trip on a stretcher to the ambulance brought forth many smiles.